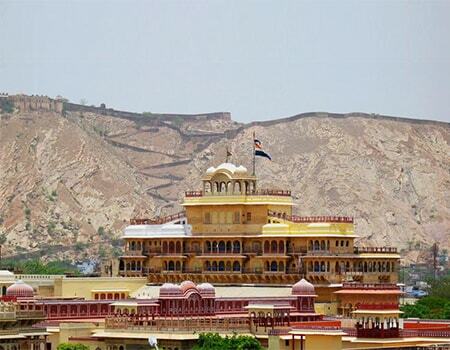 A tour into the prominent gems of India with a touch of exotic luxury! A must do India trip in a royal style. Fly in history to appreciate the art of ancient India. The Taj Mahal- Seventh wonder itself in a bunch of all adorable palaces of India. From dated Red fort to divine Jama Masjid. From amusing rickshaw ride in royal alleys of Chandni Chowk to pleasant walk for Raj ghat to pay homage to Gandhi. From taste of flavorsome street dishes of old Delhi to lavish “Daal Bukhara” of ITC Maurya served to guests of the world. 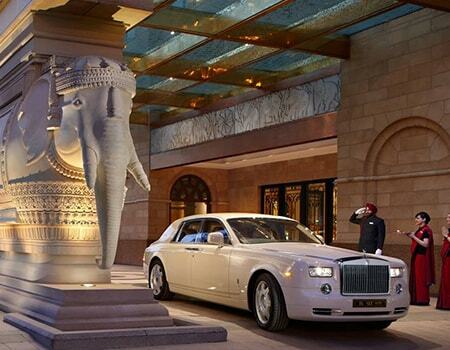 The Capital City has got all the charms to hand out your exotic tour a high-end premiere! 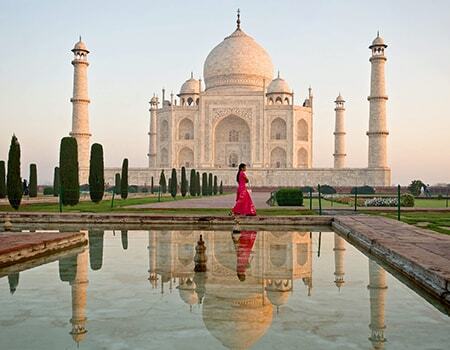 Travel then mark of luxury ‒ Taj Mahal with extravagance of present days. Visiting Taj Mahal, once in a lifetime is essential. The Taj Mahal will narrate the reasons for this very fact in its own sheer magnificence. The fairytale moment of your life will appear when you will walk the lush floors of Taj Mahal shining in morning rays of Sun. For evening view of Taj Mahal trip the gorgeous “Mehtab Garden” of the city and an imperial Tonga ride to gaze the charms of old city is an added advantage to your prosperous trip to the city famous for prominent Mughal Architectures. The Pink edge of “Luxury Golden Triangle”. 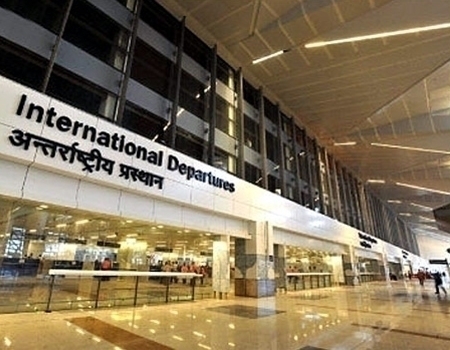 Delhi for warm departure with unique souvenirs! Our India Tour packages score an average of 4.94 out of 5 based on 72 reviews in the last year. Before to our arrival in India we contacted Leisure India through their website who were prompt in their replies and very informative. Himanshu handled our requirements with a friendly yet still in professional manner, which was really appreciated and help us to book the tour with them. He planned our golden triangle tour with luxury Hotels combined with best services yet. Me and my Family took a 6 days tour of Delhi, Agra and Jaipur where all the services were professional and caring. We felt completely safe while travelling on crazy Indian roads, driving from one place to another in a Indian traffic but our driver felt us comfortable and showed us the countryside in its real way. The Guides were very co-operative and well knowledgable in every city. 05 Nights accommodation in hotels. Daily Buffet Breakfast at coffee shop or restaurant at hotel. Courteous, Polite and Experienced English Speaking Driver. **Note: The above proposed package cost is not valid from 20th December 2016 to 5th January 2017 due to New year and Christmas dates.